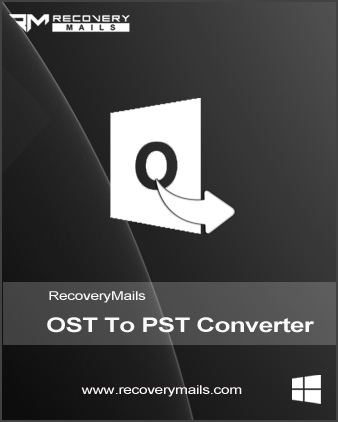 OST to PST Converter to recover corrupted OST Exchange/Outlook offline Mailbox data like Emails, Calendars, Contacts, Task, Journal to Usable Outlook PST file after Microsoft Exchange Server in dismounting condition or Exchange Offline OST file got corrupted. Save OST Contacts to vCard and Calendar to vCal format. OST to PST Converter software to convert swiftly and smoothly each mailbox of MS Exchange Outlook offline files including emails, Contacts, Calendar, Journal, notes, tasks, etc. with their attachments in new PST file. Not only allows you to convert OST into PST format but also allows you to convert OST file into EML, MBOX, HTML, EMLX and MSG file format. Software provides you davanced features as save Calendar to ICS file and then easily import ICS file to Apple iCal, IBM Lotus Notes, etc. Also save Contacts into vCard file and import vCard file into Outlook Express, iPhone, android phone, Mac Outlook etc. Software provide Split PST Option that helps user to splitting heavy sized .ost file into smaller .pst file by various file size like 1GB, 2GB, etc. To save email items from OST file to PST format by particular date, then we provides Message Filter option to convert email items & other data from specify the dates in 'to' and 'from' field only. Get free preview of OST items and check the data integrity of the software and it also helps to check the data before saving it on local disk or before investing in full version. With OST to Office 365/Exchange option you can easily upload all Mailbox folders with its meta data such as Emails along with attachments, Calendars, Contacts folder from recovered OST to Office 365/Exchange account using OST To PST Converter software. Software support & compatibility to the latest version Outlook 2016, 2013, 2010, 2007, 2003 and also Windows OS 10 and below version. © Copyright 2019 ost-to-pst-free.com Software | All rights reserved.